Flowers of Thermopsis rhombifolia are similar to those of Thermopsis divaricarpa. 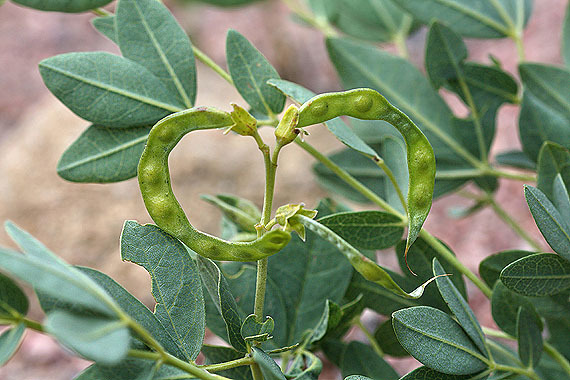 The species are distinguished by the shape of the seed pods. T. rhombifolia has strongly curved pods, while T. divaricarpa has spreading, slightly curved seed pods. T. rhombifolia is found primarily on the plains and lower foothills. T. divaricarpa grows on the foothills and mountains. Some sources consider T. rhombifolia, T. divaricarpa and T. montana to be varieties of a single species.